The wave of 3D printing technology is spreading rapidly in various sectors including architecture. As 3D printing models are very useful and unique, they can be used efficiently in the field of architecture. For architecture, structure is the most important part of their work. Forming quality structure helps them to idealize and create a quality construction. Architectural 3D modeling helps to visualize various kinds of structures such as landscapes, interior and exteriors of the house, building, surrounding areas etc. This is a kind of modeling that help architectures to capture the building or any structure from all position angles with its shape, size, color and texture. 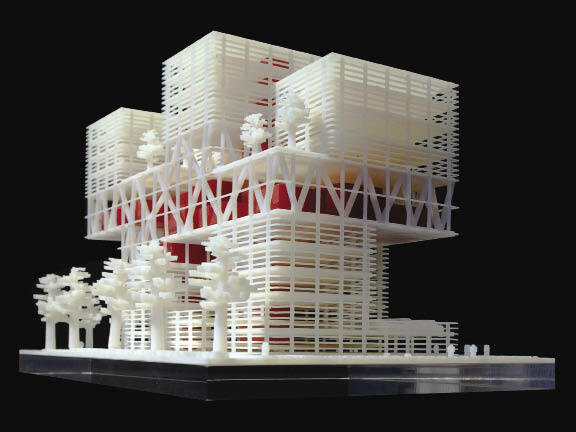 With the help of animation or computer software, 3D printing technology can produce effective and unique structures. These help architectures to produce various designs of various structures. If done with the traditional methods, architecture design require too much man hours to create a valuable construction document. 3D architecture modeling reduces the human efforts and renders quick results with quality output. Also, it is very essential to get quality output in demanding time and budget to survive in the competition. 3D modeling renders this advantage as well. 3Digi Prints is an authorized re-seller for 3D system that focus on providing most advance and affordable 3D printers and 3D printing services. These products and services certainly accomplish your architectural needs while providing quality product.